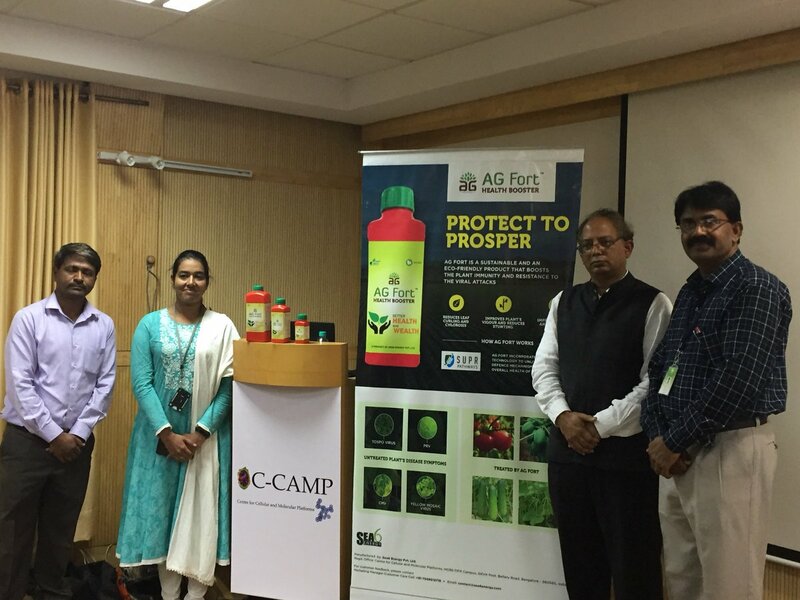 CCAMP start-up Sea6 Energy has launched the first-of-its-kind 100% natural, plant immunity booster, AGFort that strengthens a plant’s defence responses from within. AGFort is a seaweed-based product with bioactive components that boosts a plant's immune response pathways, especially the SUPRTM pathway to enhance its ability to fight viral infections. Yield losses due to viruses are a huge issue in India. When infected by a virus within 20 days of planting, there is up to 92.3% yield loss in most plants. Although yield loss is found to depend on when the viral attack takes place and the number of days since transplanting, 40% of total loss of crops in India can be attributed to a felling viral infection. Sea6Energy's AGFort provides broad-spectrum protection against plant viruses. It reduces typical symptoms like leaf curling and chlorosis and improves the plant's intrinsic health parameters. This results in improved plant growth and colour and size of fruit. AGFort is certified organic by IMO control as per NPOP standards. Contrary to external pesticide use that affects crop quality and nutritional profile besides leaving behind harmful residues, using AGFort not only counteracts the effects of the pathogen but also boosts overall plant health and output, effectively killing two birds with one stone. In other words, "AGFort is a ‘vaccine’ for plants. It boosts the plan.t’s immunity levels to help it fight a viral infection while keeping plant health unharmed" said Sea6 Energy Chairman Shrikumar Suryanarayan at the product launch. The product has undergone rigorous testing on various crops in close collaboration with University of Agricultural Sciences (UAS), GKVK, Bangalore.